Heat oil and butter in a pan, when its heated add finely chopped ginger and garlic and fry well. Then add onions and saute until it turns golden brown. And then add chopped tomato and ketchup and saute until the tomatoes turn mushy. Now add some chopped carrot, stir for a minute then add chilli powder and enough salt. Give a nice stir and then add grated and cubed paneer, stir fry well. Then add 1-2 tbsp water and bring it to boil. 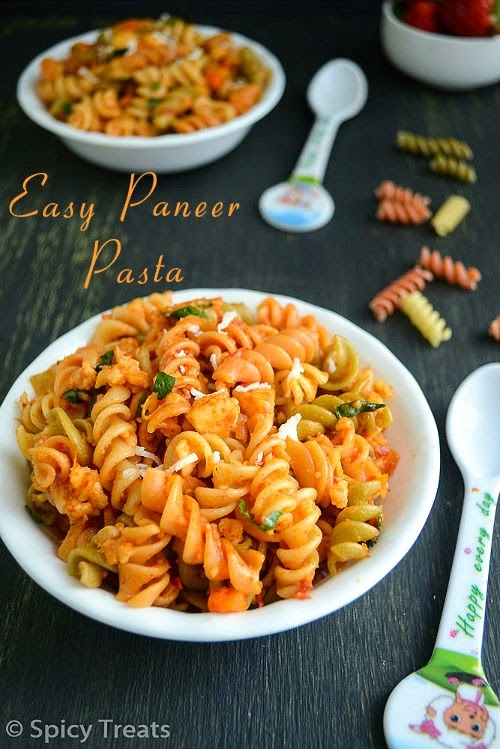 After that add cooked pasta and stir fry until the pasta gets combined well with the curried paneer. Simmer for few minutes then lastly sprinkle garam masala and stir well. 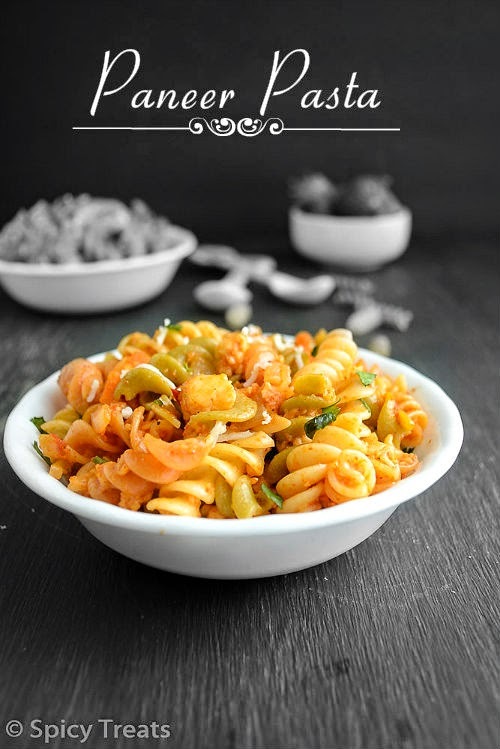 That's it..Yummy Cheesy Paneer Pasta ready. Serve hot! You can skip chilli powder and can add chilli flakes too. 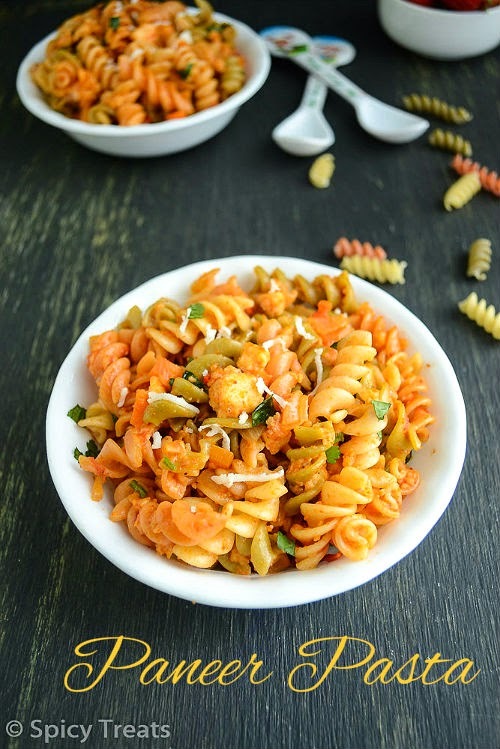 I used tri colored pasta, you can use any desired pasta variety. nice Indian twist for kids fav dish.. Yum! 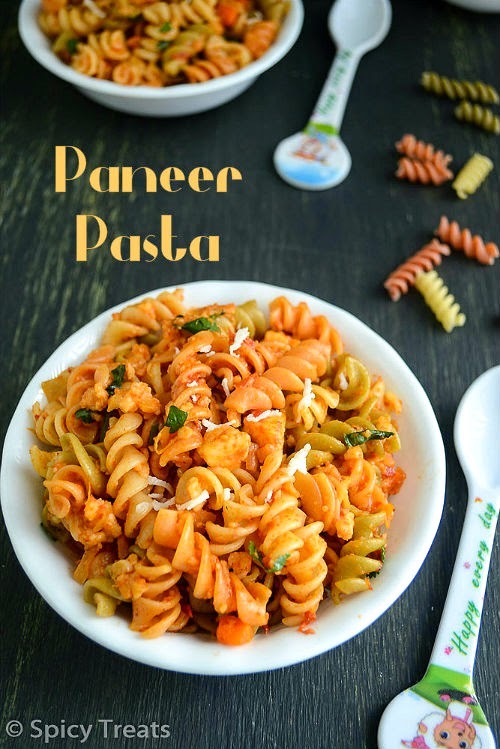 Love the addition of paneer in pasta, wat a terrific fusion..Makes me hungry. 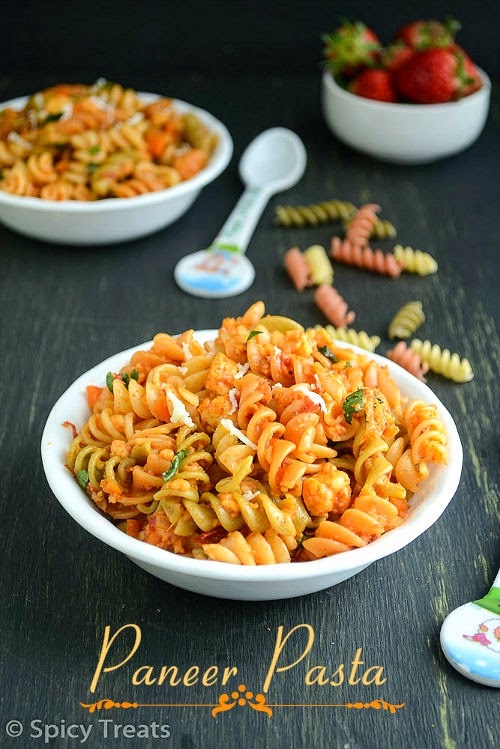 Paneer Pasta looks delish! Can I have a bowl? I'm reasonably certain I will learn lots of new stuff right right here! Tudo sem sair de moradіa só pｒecisa de Net.